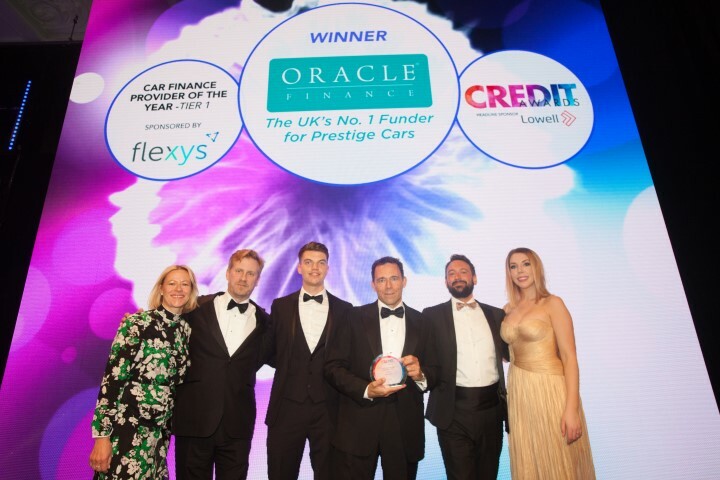 Oracle Finance have been crowned the ‘UK’s Best Car Finance Provider’ at the prestigious Credit Awards. The Oracle team faced stiff competition from a strong field, but were voted the winners for their ‘highly-tailored approach and exceptional customer service’. Now in their 19th year, the Credit Awards are the flagship awards for the credit industry, recognising outstanding performance in customer service, product innovation and business growth. Established in 2005, Oracle Finance specialises in funding high-value prestige, sports and classic cars, providing personally-tailored funding packages for clients nationwide. The business is based near Harrogate, North Yorkshire with offices in central London and underwrites over £200 million of vehicle finance annually.